Situated in Rethymnon just 500 m from the beach. 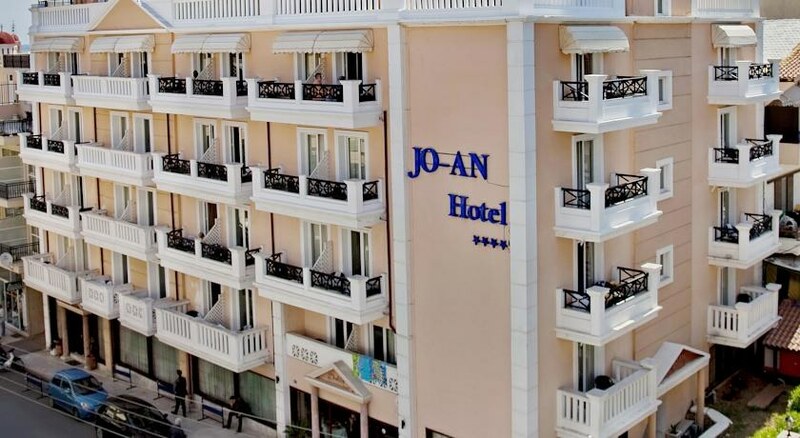 The JO-AN Palace crete hotel lays next to the Municipal Gardens, close to the old town which is full of traditional shops, cafe´s, tavernas and the Venetian harbour. 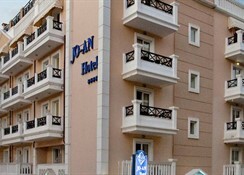 The hotel facilities includes 24 hours reception, elevator, internet access, wireless internet in the lobby, conference room, restaurant, bar and swimming pool. The rooms are equipped with private bathroom (shower/WC), hair dryer, air conditioning (with charge), safety deposit box (with extra charge), Sat TV, Telefon, fridge (on request and with charge), balcony or terrace. 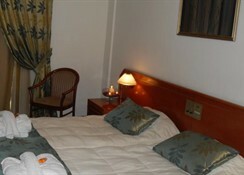 The studios and apartments have also kitchenette and kettle. **Air conditioning is working from June to September with extra charge.